– Their small business accountants are way behind the times. A new Sage survey of small business accountants in America found that only ten percent of respondents adequately leverage the cloud and online services for real-time client collaboration. In other words, in an age of real-time business processes, most small business accountants bring production to a halt with in-person meetings, and needless stacks paper. As Warawa noted, independent stores, cafes and professional services providers are stampeding to the cloud for cost-effective utilization of enterprise-level business competencies. The missing link: small business cloud accountants. Today’s clients desire real-time advice, quarterly or annual check-ups no longer suffice. Today’s SMB landscape requires that sales, marketing, and accounting, function agility, responsiveness and proactivity. 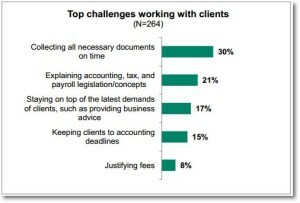 30 percent of small business accountants reported that their greatest pain from clients is collecting documents timely. As Warawa observed, “small business owners want to spend time running their business, not gathering paperwork.” Cloud and online services make it a relatively easy task to “get these transactions efficiently through technology,” and many small business accountants aren’t capitalizing on this. Nearly 60 percent of the small business accountants polled still rely on old-school methodology. They typically engage in-person meetings with clients, and their data format of choice: physical documents. Over 60 percent of small business accountants expect to augment their accounting services in the next 12 months in ways that go further than simply reconciling matters with the tax collector. Small business accountants look to become trusted advisors for small businesses. 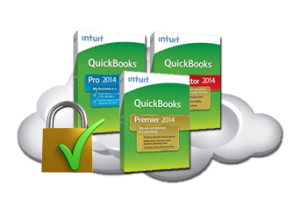 Cloud9’s small business accounting cloud solutions garnered more industry awards in 2012-14 than all other Intuit cloud service providers combined, including the Sleeter Awesome App, the K2 Quality Technology Award, the CPA Practice Advisor’s 2012 and 2013 Reader’s Choice Award, and the 2012-13 UP Award as one of the Best Cloud Hosting companies, to name a few.